The seaside village of Coronado is just a mile long and a mile wide, so we hope that you will enjoy exploring our town on foot. We're not the only ones who think we're a perfect town for walking, we were named one of the 8 Most Walkable Beach Towns in the U.S. by elledecor.com. The Hotel Marisol is located in the heart of our downtown area, just steps from the city’s main street, Orange Avenue. Your first stop should be the Coronado Visitor Center, located in the building adjacent to the hotel. The knowledgeable staff provides complimentary resources, maps, discount tickets, and brochures to help plan your days. You can also purchase Coronado related gift items, and view exhibits from Coronado's unique history at the Museum of History and Art. Since most visitors plan to spend quality time on our wide sandy beach, the Hotel Marisol provides beach chairs and towels to jumpstart your day by the sea. But there’s much more to do within a five-minute walk from the hotel… shops, restaurants, and cafés galore. Your dining choices vary from casual - Clayton’s Mexican Take-Out (with sidewalk tables) - to one of the finest Italian restaurants in the San Diego area, the Primavera Ristorante. As you stroll down Orange Avenue, we recommend a stop in Bay Books, an independently owned bookstore that also carries one of the largest selections of magazines, domestic and international, in Southern California. After making your purchase in Bay Books, why not sit awhile, enjoying a fresh beverage from the Café Madrid coffee stand, located on the sidewalk in front of the store. Another not to be missed shop is d Forsythe Jewelry, tucked away on the second floor of the historic Winchester building in the 1200 block of Orange Avenue. Dolores travels the world seeking the most unique gems and accessories. A portion of her profits is donated to the Foundation for Women for micro-lending programs. Coronado is home to Lamb's Players Theatre, one of Southern California’s leading non-profit performing arts organizations. It operates year round , offering six productions in its 350-seat theater, occupying the space of the original movie house in town, the Silver Strand Motion Picture Theatre built in 1917. 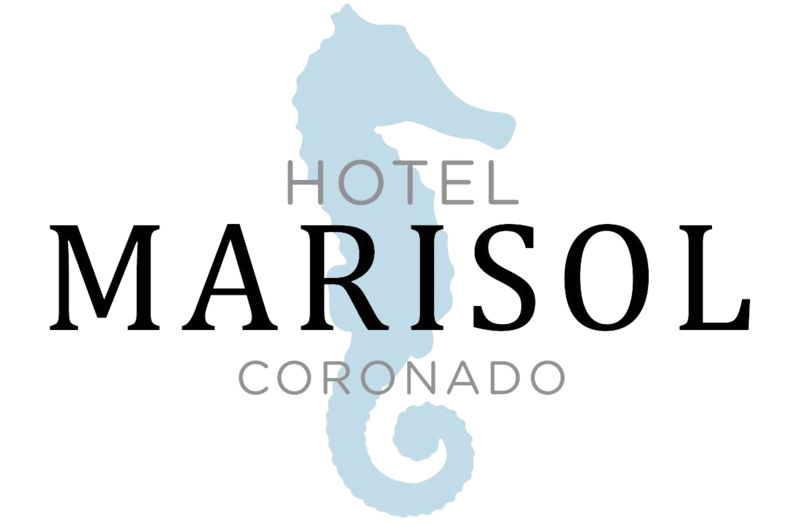 Beach, shops, restaurants, theatre – there’s so much to do and see in our quaint town – and you can walk to all of it from the Hotel Marisol Coronado.